As you've probably guessed by now, I'm not posting over the holiday period. Expect new content, including an all new series of posts, in the new year, however! In the meantime, enjoy your time with your families, if that's what you're doing. As for myself and my wife, Hayley, we're back in New Zealand, enjoying some quality time with our families. If you are reading this, and you're one of the winners, please send me an email (nick AT notdot DOT net) with your name, address, and favorite Google color (Yellow, Green, Red, or Blue), and I'll get them out to you pronto. One topic that comes up frequently on the App Engine groups is that of 'naked' domains in App Engine, and how to handle them. A naked domain, for the uninitiated, is one without a service-specific subdomain. 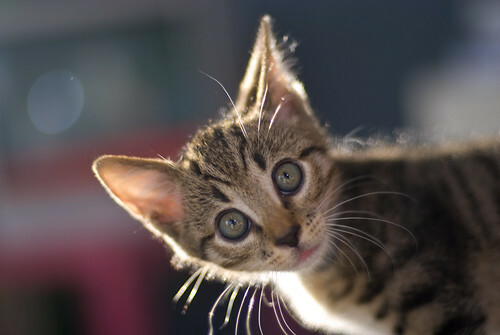 For example, "google.com" is naked, while "www.google.com" is not. This post provides an overview of why naked domains are a problem, and what you can do about them. There are two separate factors that combine to make handling of naked domains a problem in App Engine. The first is the design of DNS, the system for resolving domain names to IP addresses. There are two different types of DNS record we're concerned about here: A records, which specify the IP address for a name, and CNAME records, which acts a "see also", specifying another name for a domain. For example, an A record might say "google.com has the IP 216.239.59.104", while a CNAME record might say "google.com is also known as www.l.google.com". I arrived at the conference a bit before 11AM on Monday, having taken the earliest flight available that day (I didn't fly in the night before, as that would've meant missing Video Games Live). When I came in, Robert Hollow was giving a talk on pulse@parkes, a fascinating program he runs to get students into astronomy by giving them real observing time on the Parkes radio telescope in Australia. He gave an engaging presentation, and made me wish I could give it a go myself. Next up, Arfon Smith and Chris Lintott gave a talk on Galaxy Zoo, which has come a long way since I last looked at it. They described the architecture (Ruby, running on AWS), some of the project's successes, and some of the new projects they're working on, including Galaxy Zoo Mergers, a project dedicated to determining and documenting the details of galaxy mergers. 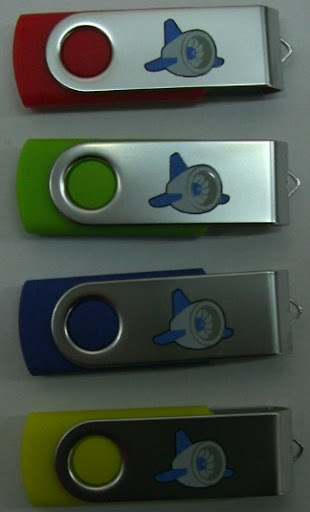 The App Engine USB drives - in bright primary, Google(tm) colors - are finished! They're currently winging their way to the Dublin office (and a separate batch direct to the .astronomy venue. Can't wait to get my hands on them. Want to get your hands on one of them too? Post a suggestion for what topic you'd like to see me write about - be it App Engine, Go, Damn Cool Algorithms, or something else - and I'll send a USB drive, loaded with App Engine goodies and a Wave invite, to the authors of the best few suggestions. I'm going to be at .astronomy all next week, so I'm not going to be putting up new posts on my regular schedule. I will, however, be blogging about the conference, so look out for posts on some of the more interesting talks and breakout sessions/hackathons. In a previous post, we described how to implement API call hooks, and demonstrated a common use-case: Separating the datastore by domain, for multi-tenant apps. It's not always the case that you want to partition your entire datastore along domain or user lines, however. Sometimes you may want to have only some models with restricted access per-domain, with others being common across all domains. You might also want a way to ensure that users can't read or modify each others' data. Fortunately, there's a way to implement all this at a higher level: Instead of defining API call hooks, we can define custom datastore properties to do the job for us. """Raised when something attempts to access data belonging to another domain.""" """A property that restricts access to the current domain."""